The dark side I sense in you. Due to a disturbance in the force I couldn't find the page you were looking for. 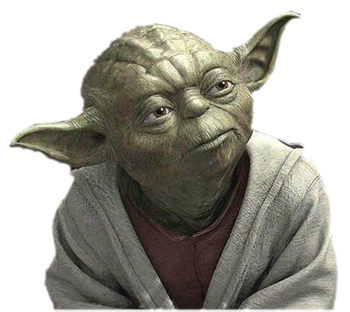 Trust in the Force, clear your mind, unlearn what you have learned, and find your missing page you will. Remember, a Jedi's strength flows from the Force. But beware. Anger, fear, aggression. The dark side are they. Once you start down the dark path, forever it will dominate your destiny.